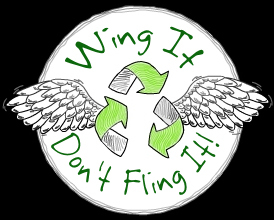 Wing It Vegan: Wing It, Don't Fling It Challenge! Wing It, Don't Fling It Challenge! 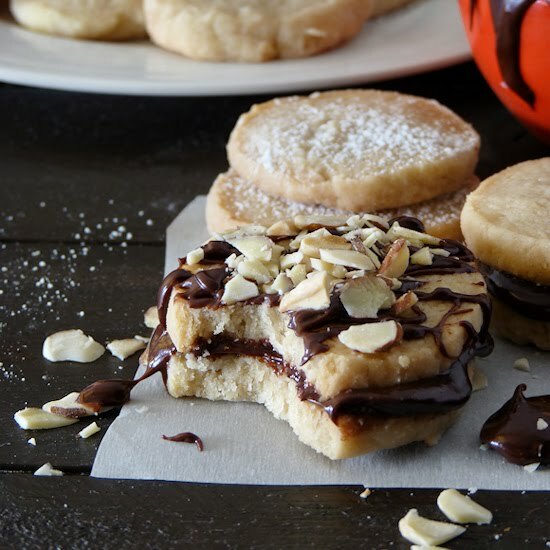 Are you in the mood for a food challenge? A lot of us food bloggers tend to show only (or mostly) our kitchen victories, while keeping the cooking disasters to ourselves. No more! Recently I have shown you a couple of failed recipes that were recycled into something delicious (these Chocolate Pumpkin Tart Truffles and these Brownie Truffles) and I will continue to share my failures-turned-successes regularly! If you are a food blogger, I invite you to join me, if you dare, and share your own rescued kitchen-wrecks with your readers! Please feel free to display a "Wing It, Don't Fling It!" sign (see below) on your "food makover" posts if you want to participate! I would love to feature your recycled creations here on my blog, so I will assume that if you're participating and linking back to this challenge, then you're OK with me sharing a link back to you with a featured picture from your post. I'd be delighted if you would join me! 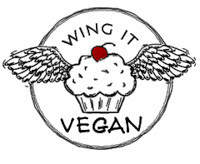 * You don't have to be vegan to participate, but your "Wing It, Don't Fling It" food must be! This means no meat of any kind including fish and other seafood, no eggs or egg-derived products, dairy or dairy products, and no honey. But you can use anything else! Grains, beans, veggies, fruits, dairy-free products like faux cheeses, etc. * Please remember to add a link back to this page somewhere on your post, so if other people want to participate they can read all about it, and feel free to use one of the logos below. * There are no deadlines or limits, and you can play as often as you want! * You are welcome to leave a comment on this page linking back to your Wing It, Don't Fling It posts! Here are the logos I promised you, along with the handy html codes. You can choose between light or dark colored backgrounds, and you can even ask me to make you a custom one to match your blog's special background color. 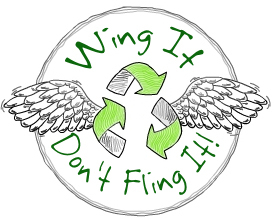 Many thanks to Becks for the recycling wings idea!